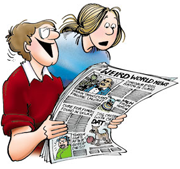 snow | Items | FBorFW Strip Fix For Better or For Worse Comic Strip by Lynn Johnston. This entry was posted in Uncategorized on January 15, 1984 by stripfix. This entry was posted in Uncategorized on January 29, 1984 by stripfix. This entry was posted in Uncategorized on February 7, 1984 by stripfix. This entry was posted in Uncategorized on February 8, 1984 by stripfix. This entry was posted in Uncategorized on February 9, 1984 by stripfix. This entry was posted in Uncategorized on January 10, 1985 by stripfix. This entry was posted in Uncategorized on January 11, 1985 by stripfix. This entry was posted in Uncategorized on December 6, 1986 by stripfix. This entry was posted in Uncategorized on March 8, 1987 by stripfix. This entry was posted in Uncategorized on December 19, 1987 by stripfix. This entry was posted in Uncategorized on February 3, 1988 by stripfix. This entry was posted in Uncategorized on November 22, 1993 by stripfix. This entry was posted in Uncategorized on November 23, 1993 by stripfix. This entry was posted in Uncategorized on January 3, 1994 by stripfix. This entry was posted in Uncategorized on March 21, 1994 by stripfix. This entry was posted in Uncategorized on January 11, 1998 by stripfix. 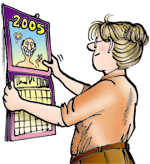 This entry was posted in Uncategorized on December 2, 2001 by stripfix. This entry was posted in Uncategorized on November 30, 2003 by stripfix. This entry was posted in Uncategorized on January 18, 2004 by stripfix. Lynn's Comments: The path from our front door to the driveway on Tally-Ho Road was perhaps 25 feet long, but it seemed much longer when you shovelled it. When I did this strip, we were all living in Northern Ontario, but shovelling snow is the same wherever you are. No matter how often you create a clean space, within minutes something always manages to fill it in. This entry was posted in Uncategorized on January 13, 2013 by stripfix. This entry was posted in Uncategorized on January 27, 2013 by stripfix. Lynn's Comments: At school, Aaron was constantly being asked, "Who is Deanna Sobinski?" He didn't have a girlfriend, that I knew of, and there were no other Deannas in town except for my friend's daughter--who was about the same age as Kate. It was assumed that everything I wrote was directly related to my family. Because of this, many storylines were hard on my kids--especially anything to do with childhood sweethearts! Despite my explanations, some folks still believe the strip is auto-biographical. This entry was posted in Uncategorized on February 5, 2013 by stripfix. Lynn's Comments: I hear folks talking about kids and their relationships, and it surprises me when they say that real "love" doesn't happen until you're physically mature. I disagree. I remember being head over heels "in love" with a boy in my grade three class. I remember it clearly, and the feeling was as strong and as passionate as if I was 16. I had no concept of the physical stuff then--but the desperate need to be near him and to be cared for in return was overwhelming. Likewise, his rejection was painful and devastating. I hated him for showing my notes to his friends and I said so. Like Deanna Sobinski, he was attractive and popular, and he made me feel that I wasn't good enough. In retrospect, I think he just didn't know how to handle an ardent admirer. This entry was posted in Uncategorized on February 6, 2013 by stripfix. Lynn's Comments: I have to give credit to one of Aaron's teachers for this punchline. Sheena told me that when one of her kindergarten students was severely ill, her class was comforted to see that her seat was still there. As long as her place in the class remained, they knew she was coming back. This entry was posted in Uncategorized on February 7, 2013 by stripfix. This entry was posted in Uncategorized on January 9, 2014 by stripfix. Lynn's Comments: Looking for a wayward mutt on a night like this is one of the downsides of dog ownership. When our small spaniel, Willy, wandered off, it was usually "Mom" who put on the boots and jacket and went out into the gale to find him. I was convinced he could hear me quite well and was just ignoring me. This was something the kids did too. It infuriated me. At least kids understand a mother's wrath. When a dog comes home to a fuming human, he just pants and wags. This entry was posted in Uncategorized on January 10, 2014 by stripfix. Lynn's Comments: Here's an example of how the first two panels of a Sunday page are set up to be eliminated if the features editor at the paper wants to save space. The situation here, Chris walking the baby, has nothing to do with "It's snowing again." which is the next opening line. Often this "throw-away" gag is better than the rest of the strip! Cartoonists handle the dilemma of the removable opening panels in different ways. Johnny Hart, for example, always started the B.C. Sunday page with the ants--sometimes an entirely different subject matter from the rest of the strip. Some extend the beginning of the storyline, some play with the title or draw doodles, and some don't bother with these panels at all. Ultimately, we all have to work with the newspaper editors, understand their space limitations, and help them to place our work as best they can in an ever-changing hard copy format. This entry was posted in Uncategorized on March 6, 2016 by stripfix. This entry was posted in Uncategorized on February 2, 2017 by stripfix.